I. Could The Creation of the North American Union Occur in 2015? III. 'Big Brother' Will Be Watching Your Energy Consumption in 2015 With New 'Smart Grid' ! 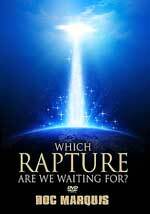 "Which Rapture Are We Waiting For?" 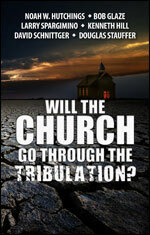 Doc Marquis educates us how the Rapture of the Church is defined in the Bible. Not surprisingly, the Biblical definition is much different than popular belief. 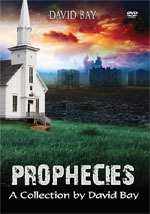 From Genesis, the first book of the Bible, to the Book of Revelation, the last book of the Bible, God has instilled a measurable and repeatable pattern dealing with the Rapture of His Church. 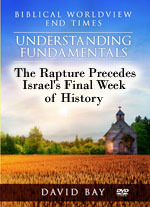 Once you understand what a genuine Rapture truly is, you will immediately understand what our Christian forefathers said about this exciting subject, you will understand what God has to say, and you will see God's pattern of other raptures in the Bible. 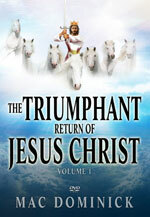 'There has been more than one rapture in the Word of God'. "The globalist plan to incrementally merge the U.S., Canada and Mexico into a North American Union has been ongoing for years. While at times, the agenda appears to have seemingly stalled, current efforts to expand the trilateral partnership show that it is alive and once again gaining steam. With NAFTA as the foundation, the renewed push for deeper North American integration continues on many different fronts." Please carefully note the truthful words, above, that the plan to create the North American Union -- Supernation #1 in the map above -- is a globalist plan that has been systematically implemented in small baby steps for years. 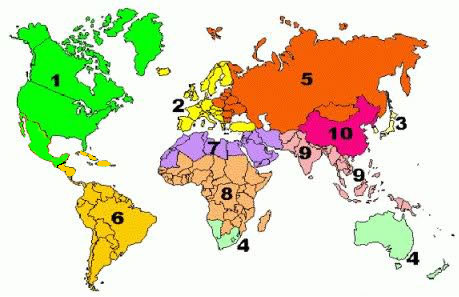 How many years has the Illuminati been planning to reorganize the world into 10 Supernations? The Club of Rome issued a plan in 1972 entitled, "Mankind At The Turning Point" in which they showed this reorganization of all nations of the world, shown above. Then, in 1993, former President, Republican George H.W. Bush, cooperated with President William Clinton to persuade Congress to pass N.A.F.T.A. (North American Free Trade Agreement), which would create the economic nation which would ultimately become the political nation known as the North American Union. Since 1993, both Republican and Democrat Administrations have quietly been creating agreements and protocols which will one day lead to a political nation known now as the North American Union. 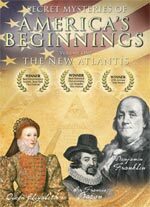 But, a most interesting historic fact is that, in 1594, Sir Francis Bacon originally urged that the North American Continent be joined into one Supernation which he dubbed the "New Atlantis". The demonic Guiding Spirit of Bacon told him that Lucifer had chosen the North American Continent to provide that leadership. 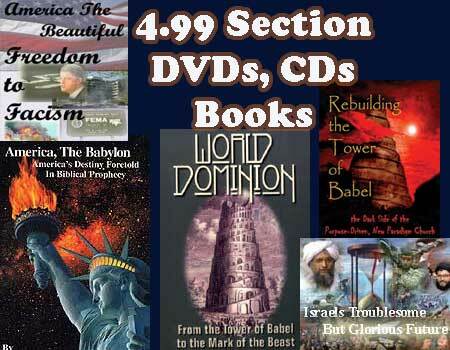 The British Crown was to ensure that every effort was expended to ensure that the Colonies as they were to become known, were established as an occult nation whose leaders were part of the "Illumined Ones" and would gradually lead the nations of the world into the Kingdom of Antichrist, a.k.a., the New World Order. For this reason, the American flag has 13 horizontal bars, 7 red and 6 white. It is sobering that this number is so closely associated with America's founding is that '13' is the occult number denoting "extreme rebellion against God". 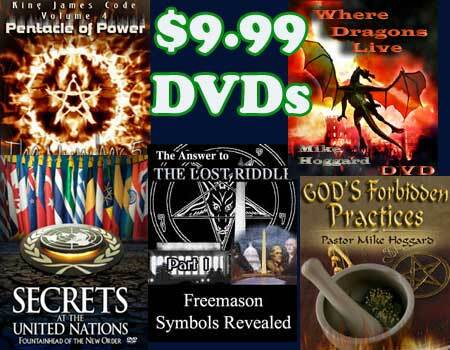 Remember our teaching in the entire 4-Title DVD series, "Secret Mysteries of America's Beginnings" is that, while the Great Revival of 1741 through 1791 ensured that the culture of America was established on Christian values, our Masonic Fathers quietly established the American government on the pagan principles of Freemasonry. Could the year, 2015, see the creation of the Supernation foreseen in 1594 by Sir Francis Bacon? She is cooperating with America in the creation of Shi'ite (Shia) Iraq. "TEHRAN – Iran reiterated on Monday that Tehran will continue to stand by Iraq in the fight against ISIL militants." No one should be surprised that Shi'ite Iran would rush to the defense of Shi'ite (Shia) Iraq, who is under attack by Sunni ISIS (Sunni Iraq). In fact, Shi'ites and Sunnis have historically been fighting each other, as both sides believe the other is an "heretic" and does not deserve to live. The stark reality is that Shi'ite Iran has been fighting Sunni Saudi Arabia for many decades and is fighting by "proxy". Sunni ISIS / Sunni Iraq is backed by Saudi Arabia and is clearly in Iran's crosshairs. For the moment, this proxy battling mandates that Iran cooperate with America. This next news story proves the link between Iran and America is this armed fight to protect Shia Iraq. "Iranian military involvement has dramatically increased in Iraq over the past year as Tehran has delivered desperately needed aid to Baghdad in its fight against Islamic State militants, say U.S., Iraqi and Iranian sources. In the eyes of Obama administration officials, equally concerned about the rise of the brutal Islamist group, that’s an acceptable role — for now." Kurds in the north. 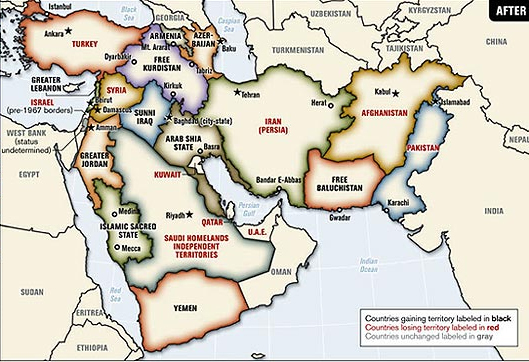 The idea that the President of the United States would be siding with only one religious party over the other seemed very odd, until the Pentagon released the "New Middle East Map" (shown above). This new map demonstrated the real objective toward which the Illuminati was aiming! At some point, an international conference is going to be established, at which time some nations will be favored while other nations will lose territory and religious sites (Read full details in NEWS2213, entitled, "President Bush's "New Middle East Map" Is Enraging Friends and Foes Alike". This map depicts Iraq being split into three nations: Sunni Iraq, Shi'ite Iraq and Free Kurdistan. ISIS is Shi'ite Iraq and has been wielded as a useful wrecking ball in Syria and Iraq. Once the status quo in these two nations is severely disrupted, ISIS will be forced back to the land designated "Sunni Iraq" on this map. And, the forces of Iran and America are cooperating now on ground and in the air to roll back ISIS so this map can be created. 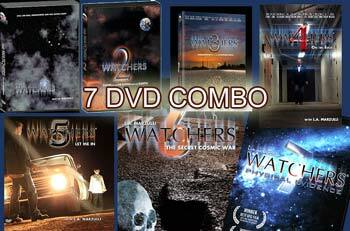 Government surveillance continues to be as intrusive as the 'Mark of the Beast' foretold nearly 2,000 years ago! "The next Big Data threat to our privacy may come from the electricity we consume in our homes. 'Smart' online power meters are tracking energy use — and that data may soon be worth more than the electricity they distribute. The Department of Energy is publishing in January the final draft of a voluntary code of conduct governing data privacy for smart meters, 38 million of which have already been installed nationwide. The meters gather information about household electricity consumption and transmit it wirelessly at regular intervals to the supplier. It’s a key element in the push for the so-called smart grid, a more efficient way to distribute the nation’s electricity." 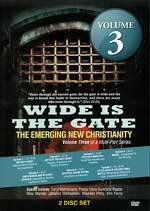 1) "The number of people inside a house"
3) "Degree of religious observance"
5) "What’s on the television"
I have always wondered how the global government of Antichrist could become so pervasive in its knowledge of every household that they could know if someone was trying to "buy or to sell" without the Mark of the Beast (Rev 13:16-18). Now we know one major highway of knowledge: 'Smart Energy Meters"! 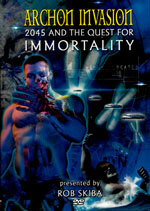 New Book by L.A. Marzulli: Free Nephilim Calendar! The Bible is full of strange and supernatural events. But there is none stranger than the events of the sixth chapter of the Book of Genesis. Theologians have speculated and debated this bizarre passage of Scripture for thousands of years and the debate rages on today hotter than ever! 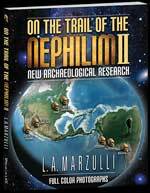 Best-selling author, L.A. Marzulli, lies at the root of this new paradigm, challenging the status quo of historical events and suggesting a cover-up of 'gigantic' proportions. 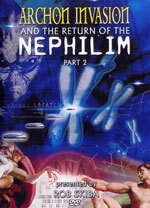 Traveling to Paracas, Peru, and other relatively-unknown places in South America, the author began to hunt for proof of a hybrid race of beings the Bible calls the Nephilim. His search left no stone unturned public museums, private skull and skeleton collections, secret caves known only to locals, interviews with archaeologists and curators . . . what Marzulli discovered has turned the world upside down, upsetting a few Darwinian apple carts along the way. 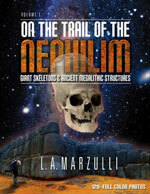 Once you have laid eyes on a gigantic Nephilim skull, your worldview may change.